Snacking is an important part of any healthy diet. It helps with hunger management and provides you with another opportunity to meet your nutrient needs. If you're cutting back on carbs for weight loss or better blood sugar control, you may want to include more protein-focused snacks. A healthy, high-protein snack should contain 200 calories or less and at least 10 grams of protein. Turkey meat is not only a good source of protein but is also low in fat, especially saturated fat. Animal proteins are the primary source of saturated fat in the diet, says the American Heart Association. Too much saturated fat raises blood cholesterol levels and risk of heart disease. Roll fresh roasted turkey breast meat in romaine lettuce leaves for a high-protein, low-calorie snack. Three ounces of turkey breast contains 125 calories and 26 grams of protein. 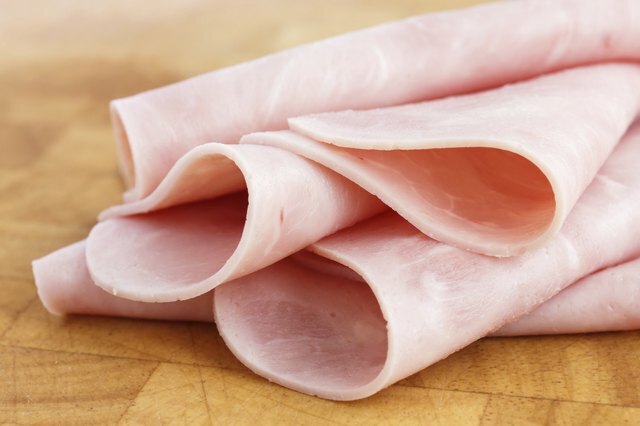 Using fresh turkey breast instead of deli meat turkey helps keep sodium intake down. 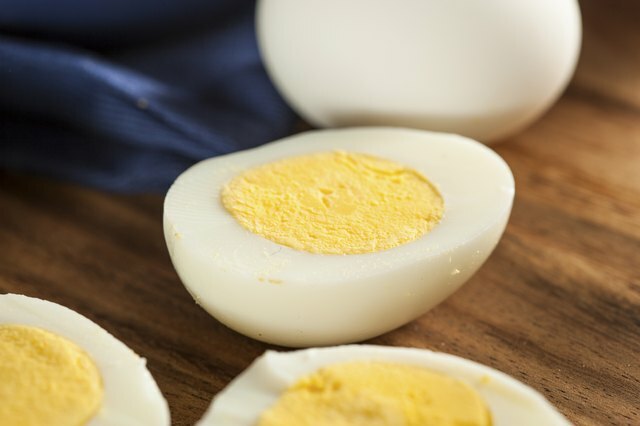 Hard-cooked eggs also make a good high-protein snack option. Two hard-cooked eggs contains 160 calories and 12 grams of protein. Eggs are a source of cholesterol, and the Cleveland Clinic suggests you limit your intake to four to six a week to help keep cholesterol intake in check. If you're concerned about getting too much cholesterol and fat from eating hard-cooked eggs, you can eat the whites instead. Three hard-cooked egg whites contains the same amount of protein as two whole hard-cooked eggs but with only 50 calories. If you're looking for a vegetarian high-protein snack, check out edamame -- green soybeans still in their pods. As a soy food, edamame contains all the essential amino acids, which makes it a high-quality source of protein. Plus, it's a good source of fiber. 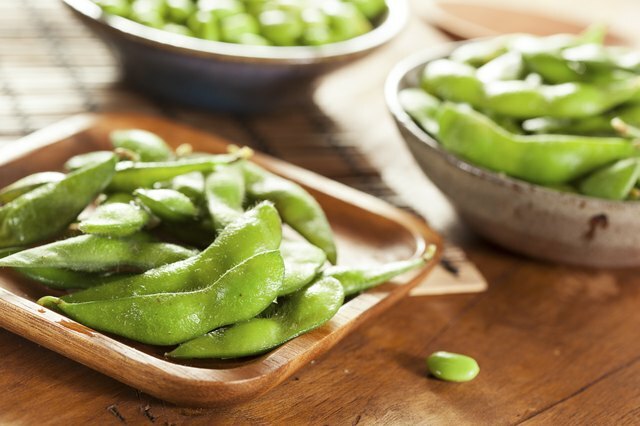 One cup of cooked from frozen edamame contains 190 calories, 17 grams of protein and 8 grams of fiber. You can prepare your edamame ahead of time and reheat in a microwave for a quick snack. Yogurt also makes a good snack choice for anyone, especially those looking to eat more protein. It's already packaged for a single serving and transports with ease. If you're looking for the highest-protein option, go for Greek yogurt. It has twice as much protein as regular yogurt, according to the Obesity Action Coalition. 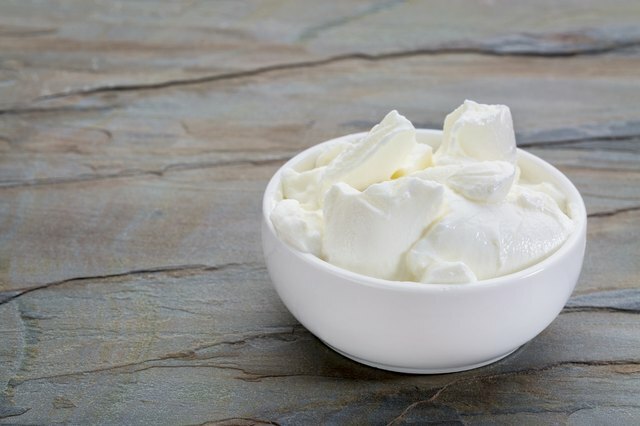 A 5.3-ounce serving of nonfat vanilla Greek yogurt contains 106 calories and 14 grams of protein. Cleveland Clinic: Should I Stop Eating Eggs to Control Cholesterol? A Healthier Michigan: The Nutritional Value of Egg Whites Versus Egg Yolks: What Do You Use? 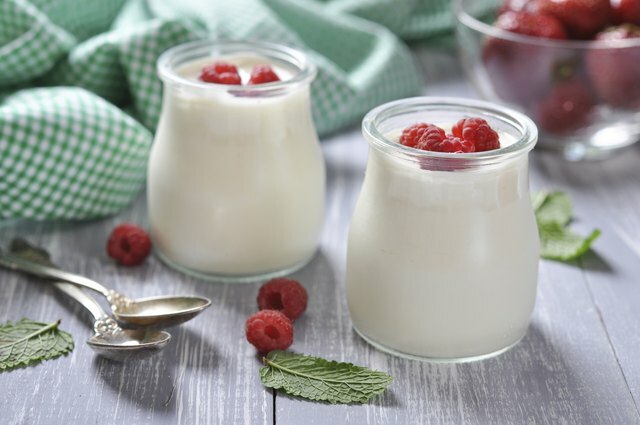 Obesity Action Coalition: Greek Yogurt: What's the Craze All About? No late-night binges here! Smart nighttime snacking means including ingredients that will help you manage your diabetes. How Do I Measure Popcorn? How to Cook Popcorn in Olive Oil?